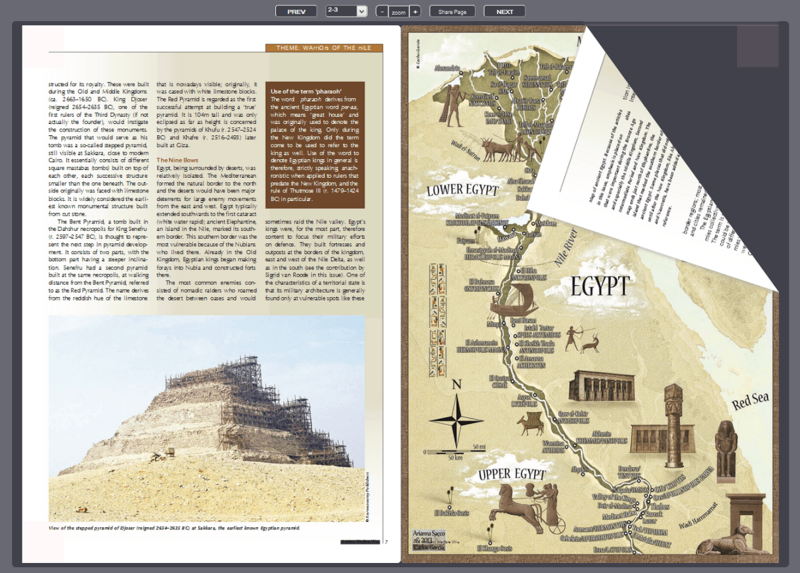 So with the kind permission of Dr Josho Brouwers, a tech-savvy archaeologist and Editor of Ancient Warfare Magazine we’ve put together part one of this PDF Conversion Clinic article where we’ll be showing you 3 ways to put your magazine online using our online converter, using a sample PDF from Ancient Warfare Magazine. The following are three ways you can use our online converter to display your content. 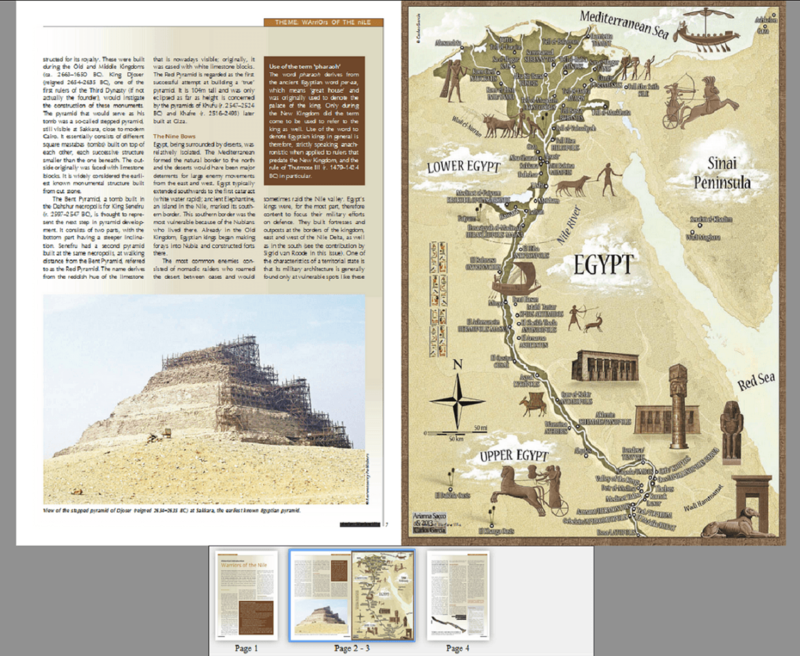 The Magazine Layout view mode of our online converter converts your PDF file and displays it in a 2 page format, just like you would expect of a real magazine. 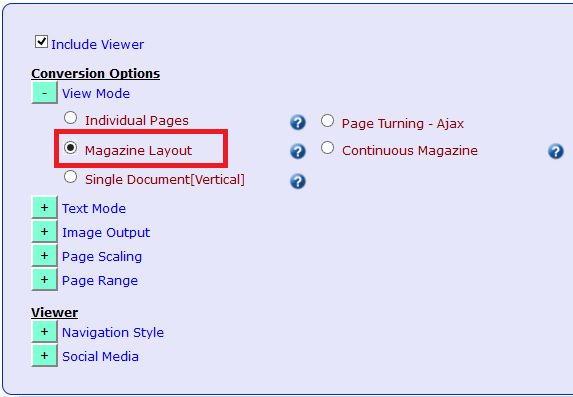 To use it, select the ‘Magazine Layout’ option under the ‘View Mode’ settings of our online converter. This mode is suitable for anyone who have a magazine that they would like to put online as HTML5 while keeping it looking like a magazine. The Page Turning view mode of our online converter converts your PDF file and displays it in a magazine/book format with a more realistic feel to it thanks to the page turning feature it makes use of. 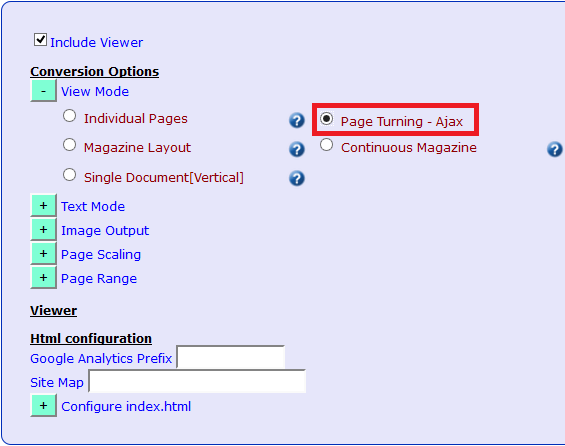 To use it, select the ‘Page Turning – Ajax’ option under the ‘View Mode’ settings of our online converter. If you want to display your magazine online and give your viewers a more authentic experience this mode will be for you. 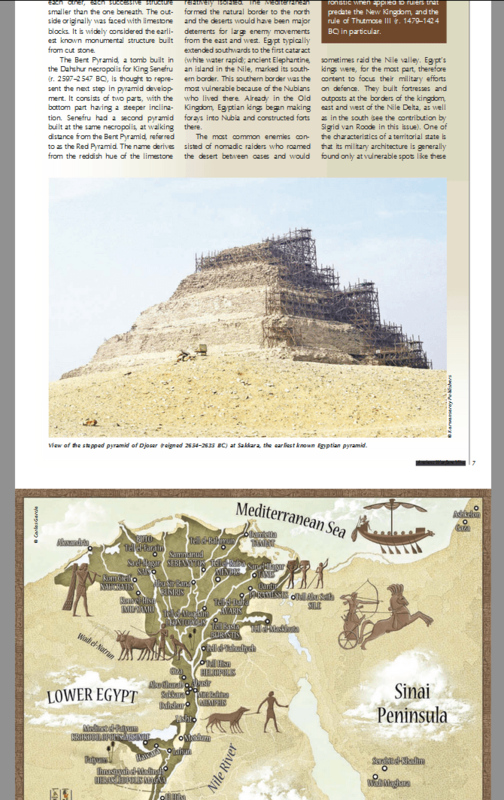 Readers can also use the navigation bar at the top of the magazine to turn to specific pages as well. The Single Vertical Document view mode of our online converter converts your PDF file and displays all the pages in your magazine as a single column. 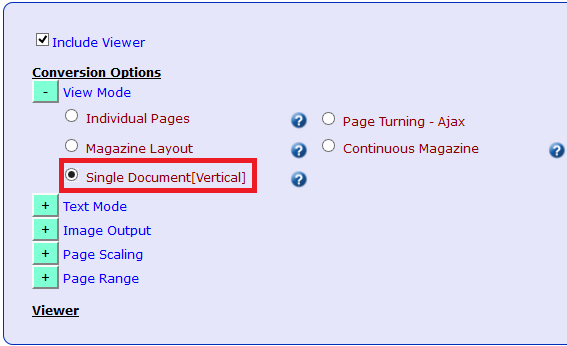 To use it, select the ‘Single Document[Vertical]’ option under the ‘View Mode’ settings of our online converter. This is suitable if you want your whole magazine to be displayed online at once rather than divided between pages. HTML5 is a format that is natively supported by a multitude of browsers, platforms and devices; while they do not all offer the same level of support for PDF documents. HTML5 is a format that can be understood by all search engines, this will mean a significant improvement of your SEO for many of your magazines. If you convert to HTML5 it will be easier to attract foreign readers thanks to the ease by which HTML5 documents can be translated to other languages. Converting to HTML5 will allow for the use of Analytics, which is very useful for knowing the performance of your online magazine and the demographics of its readers in much greater detail, this will allow you to know which areas to focus on and how to fine tune it. Having your magazine as a HTML5 format will allow you to better control it’s access, you can control who can see what using Apache or multiple other devices and it is harder to copy than an online magazine in a PDF format. And what’s more, if you convert using our free online PDF2HTML5 converter you will have full control of what you will do with your converted document. If you would like more reasons to convert we also have guide on Why convert PDF magazines to HTML5? and a Publishers guide to getting your content online as HTML5. Next time I’ll be looking at Three More Ways to Put a Magazine Online as HTML5.